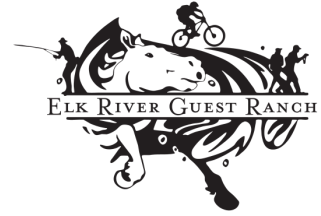 Welcome to the Elk River Guest Ranch! We offer nightly cabin lodging through the fall months. You can book below or call Bex and Scott at (970) 879-1946 if you have questions. Check-in is 3pm or after unless you confirm ahead of time with Bex that an early arrival is possible. Check-out on the day of departure is by 11am. If you expect a late arrival, please let Becky and Scott know in advance. Cabin stay reservations are confirmed with a 50% deposit, required at the time of booking. This deposit is non-refundable 30 days or less prior to your arrival. The balance of the reservation is due on arrival at the ranch. Cancellations more than 30 days before the reservation are refundable, minus a 10% transaction fee. CLICK HERE TO SEE INDIVIDUAL CABIN PICTURES. If you're looking for an intimate setting for your next Colorado mountain retreat where you can relax and unwind then you've found the right place!